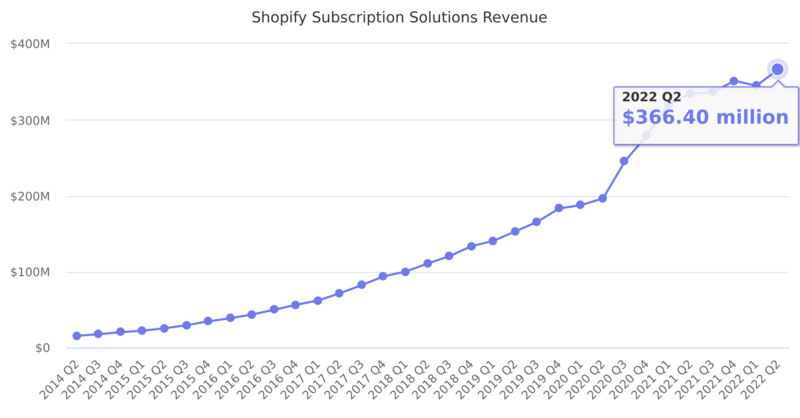 Revenues from store subscription plans. Shopify's merchants pay a monthly fee for the use of its platform. The standard plans range from $29 to $299, plus a high-end plan called Shopify Plus. Last reported quarter 2018 Q4 it was $133.60 million, up by 42% year-over-year from $93.90 million. From $310.01 million in 2017 it increased by 50% to $465.00 million in 2018.